Two hints this week. First, this is the "package" the seeds come in. Second, I didn't find these in Arizona. And after you bring them inside, they look like this. Do you know what the plant that produces these is called? No comments yet? It seems too obvious, so I'm worried this is a trick Mystery Seed! 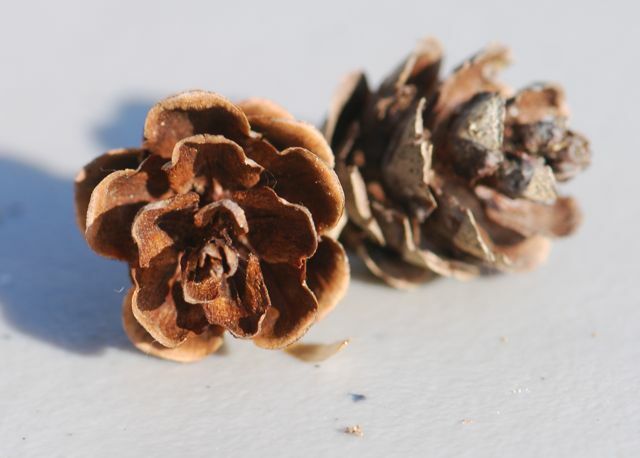 Pine cones = Pine trees. These appear to be tiny pine cones. Maybe some variety that is used for a Christmas tree? 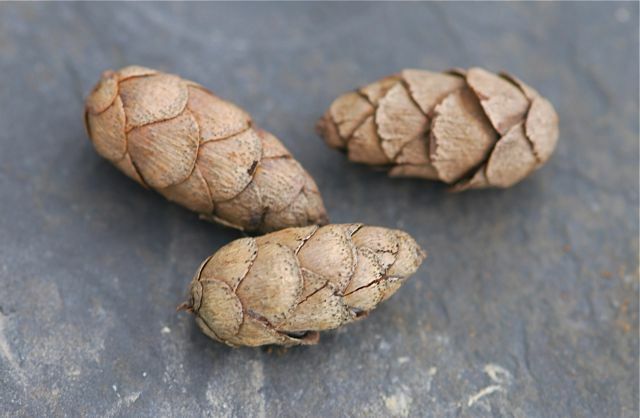 Yes, they are tiny cones and they are from a tree.